The people are letting go the balloons. The view of the ballons flying to the night sky. 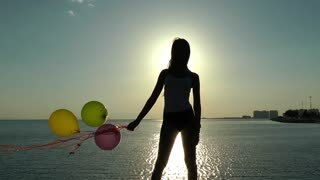 Magnificent Future Mother Holding and Turns Ballons in Hand on Background of Sunlight, Poses and Smiles Sweetly, Stroking Tummy. 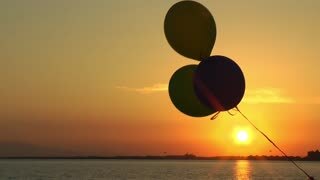 Multicolored party ballons flying in the sky sunset time. 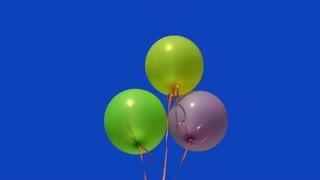 Ballons, green screen. Celebration loop background. 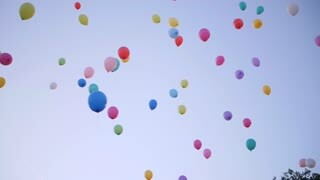 Camera moves from colourful ballons to wide open sunny sky. Ballons flying over the sun set. Walking Ballons Passing On the Street.